XML Sitemap is one of the most important details to consider when it comes to improving the ranking of every website in search results. XML Sitemap is a kind of navigational instrument which helps search engine bots to crawl your website more efficiently. If your website has more than 50,000 URLs, you should consider using several sitemaps instead of one. According to Google, it is highly recommended to limit a single XML sitemap to 50MB and 50,000 URLs. 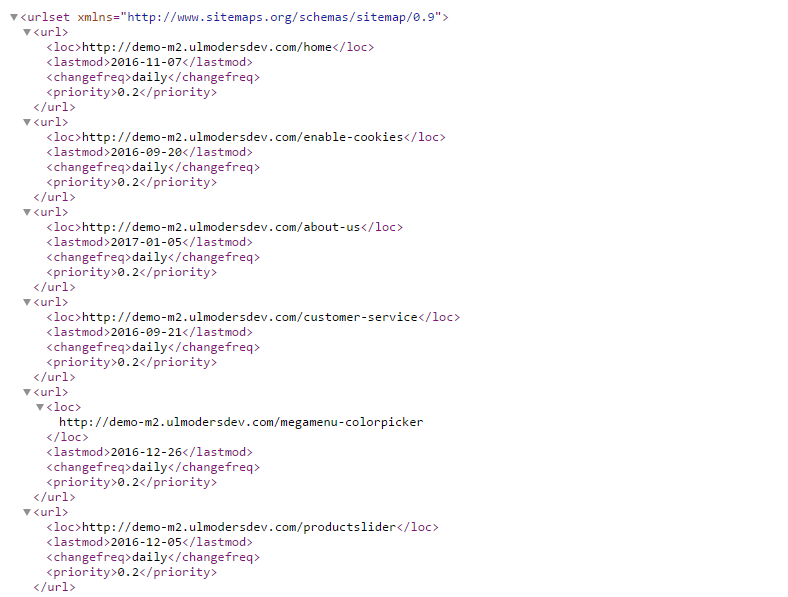 If you have a website with more URLs, you have to split your XML sitemap into multiple XML Sitemaps. 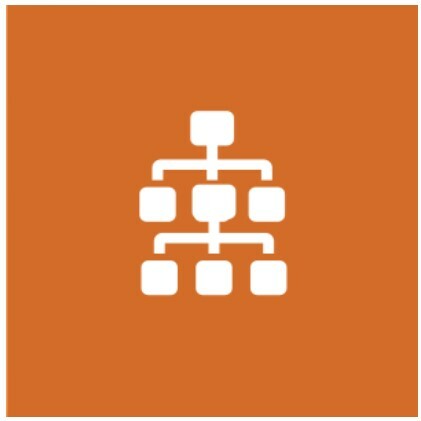 Multiple sitemaps offer many benefits such as organizing your sitemaps by your products, categories, type of content, and more. The better your content is categorized, the smoother and easier crawling is. Also, multiple sitemaps are more efficient to monitor indexing errors, and its help gets a clear view of what is not performing well from each of your sitemaps and where you have indexing errors. 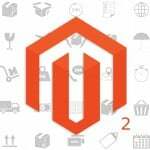 Magento 2 comes with the XML Sitemap, allowing to configure the settings of Frequency and Priority of your content updates for Categories, Products, CMS Pages options, and generate a basic single XML Sitemap per store view. 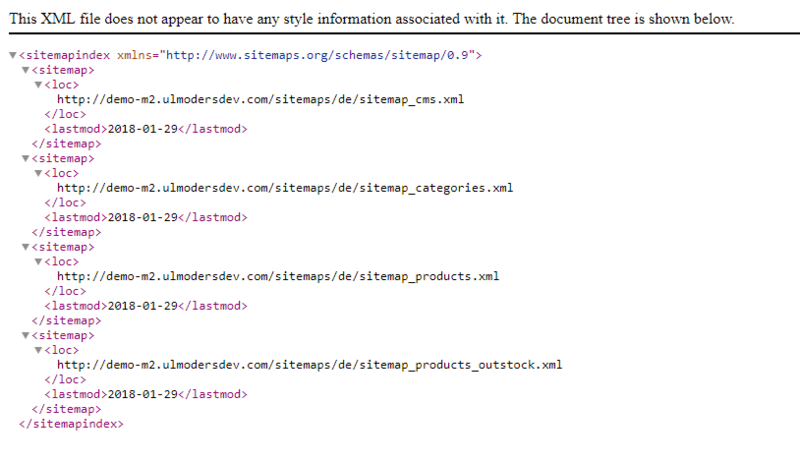 However, Magento 2 does not support multiple XML Sitemaps by default. The Ulmod Magento 2 XML Sitemap Splitter was built to extend the default Magento 2 XML Sitemap with a bunch of extra features allowing to go beyond the limits of the default Magento 2 XML Sitemap and give more flexibility. 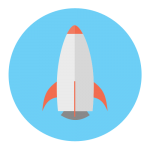 The extension allows to create and manage multiple XML Sitemaps per store view, using a flexible and user-friendly admin panel where you configure and generate your sitemaps. The extension settings consist of nine sections – General, Categories, Product “In Stock,” Product “Out Of Stock,” Products Image, Product Review, CMS Pages, Generation and Search Engine, allowing you to configure each functionality of the extension from the admin panel. The Categories section let you enable or disable the category sitemap, use last modified date or the current date of the categories pages on the sitemap, set the Priority ( between 0.0 and 1.0.) and Frequency (always, hourly, daily, weekly, monthly, yearly, never ) of the categories pages content in the sitemap. The Priority lets search engines figure out which pages you consider most important for the crawlers. The priority value varies between 0.0 and 1.0. Zero has the lowest priority. The category sitemap file is suffixed by with ‘_categories’ eg. 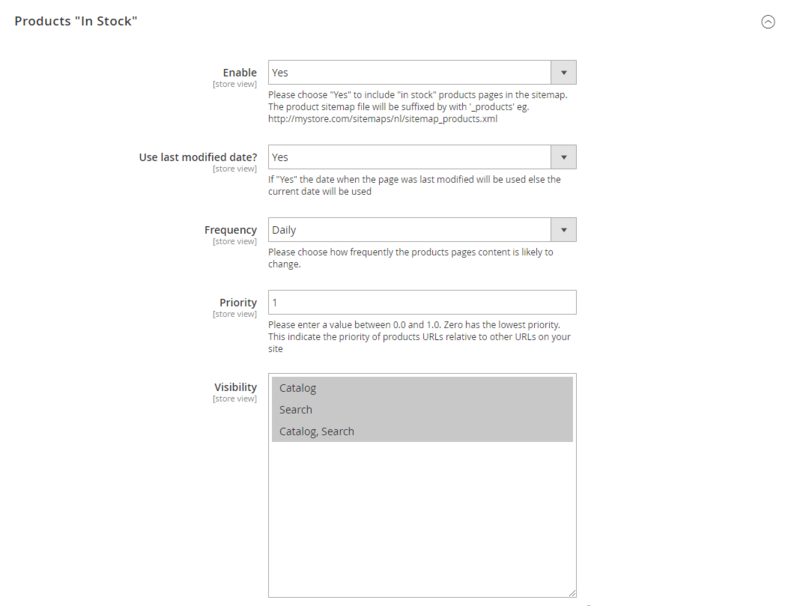 Under the Products “In Stock” section you can, enable or disable the “in stock” products in the sitemap, use last modified date or the current date of the “in stock”products pages, and set the priority, frequency, and visibility of “in stock”products in the sitemap. 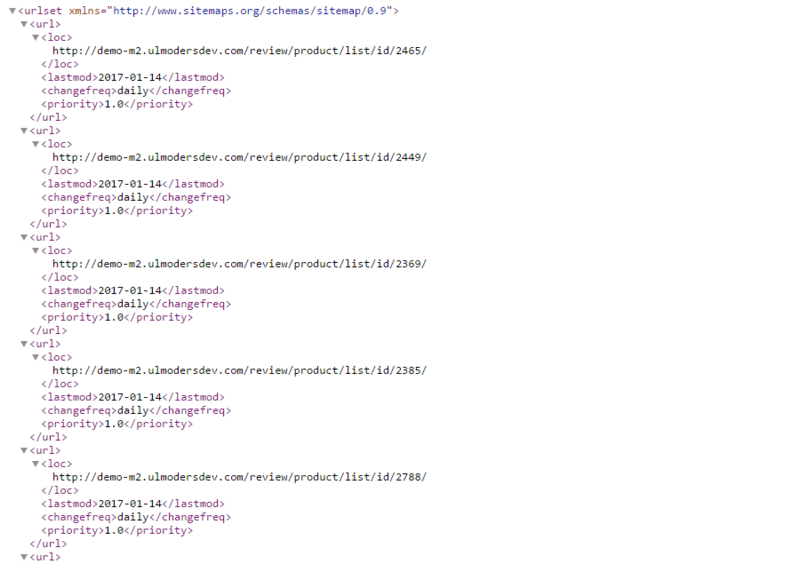 The product sitemap file is suffixed by with ‘_products’ eg. In the Products “Out of Stock” settings, you can enable or disable the “out of stock” products in the sitemap, use last modified date or the current date of the “in stock”products pages, and set the priority, and frequency of “in stock”products in the sitemap. The out of stock product sitemap file is suffixed by with ‘_products_outstock’ eg. Under the Products Image section, you can Include or exclude products images (all, base only, visible image only, hidden image only), show or hide title, caption, image license in the sitemap and set a custom image license url. 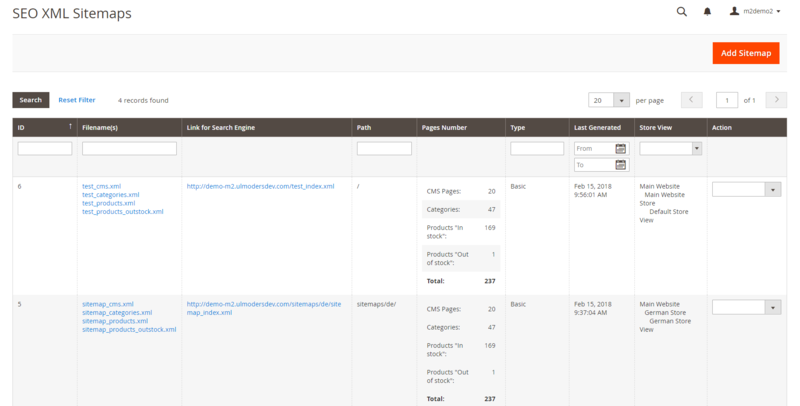 In the Product Review tab, you can include or exclude products review in the sitemap. 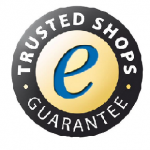 The product review sitemap file is suffixed by with ‘_products_review’ eg. 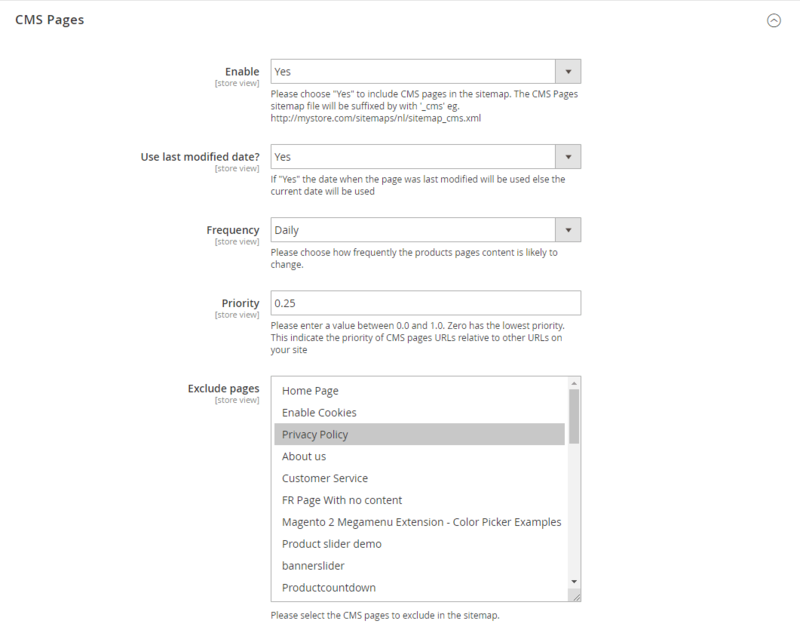 In the CMS Pages settings, you can enable or disable the CMS pages in the sitemap, use last modified date or the current date of the CMS pages, set the priority, the frequency of CMS pages, and select the CMS pages to exclude in the sitemap. The CMS Pages sitemap file is suffixed by with ‘_cms’ eg. 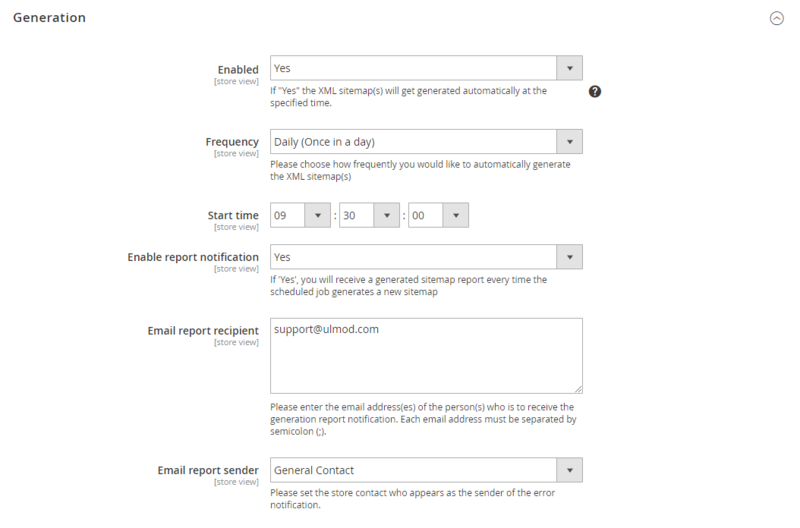 Under the Generation section you can, enable or disable the sitemap auto-generation, choose the frequency, start time, enable or disable the report notification and define the email report recipient and sender. 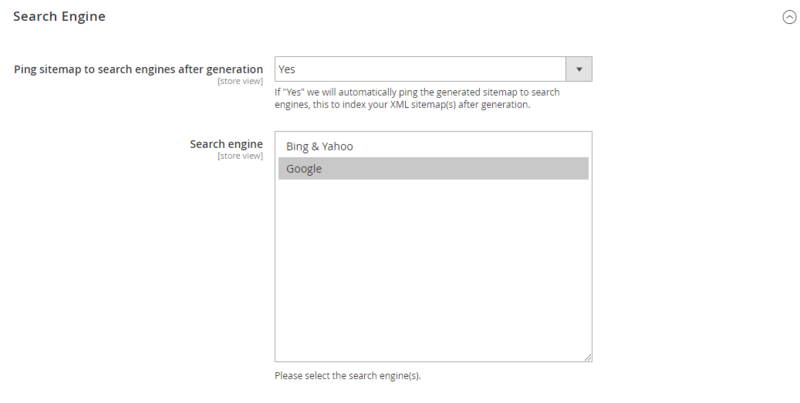 In the Search Engine tab, you can enable or disable the auto-ping sitemap to search engines after generation, and choose the search engine to ping the generated sitemap. 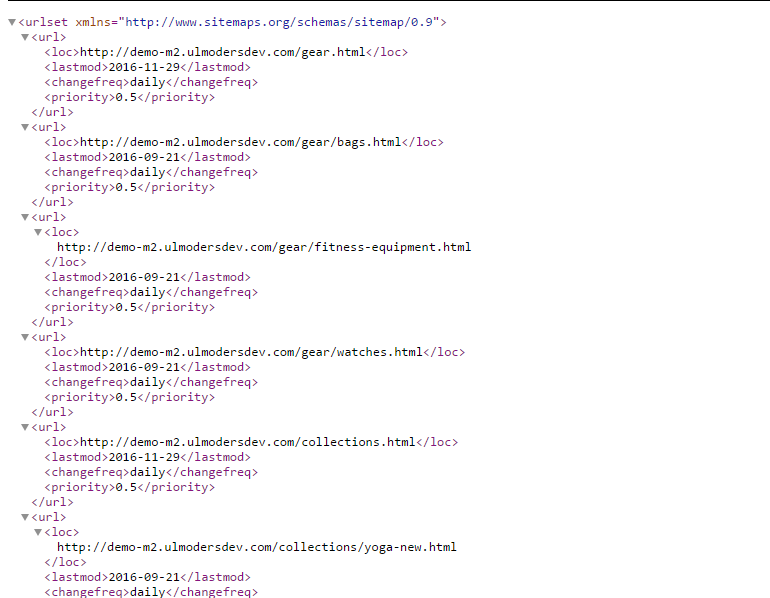 This index your XML sitemap(s) after generation. You can manage existing sitemap and create new ones under the MARKETING -> SEO XML Sitemap Splitter by ULmod -> Sitemap(s). The sitemaps grid display each sitemap id, filenames, links, pages number, type, last generated date and store view. 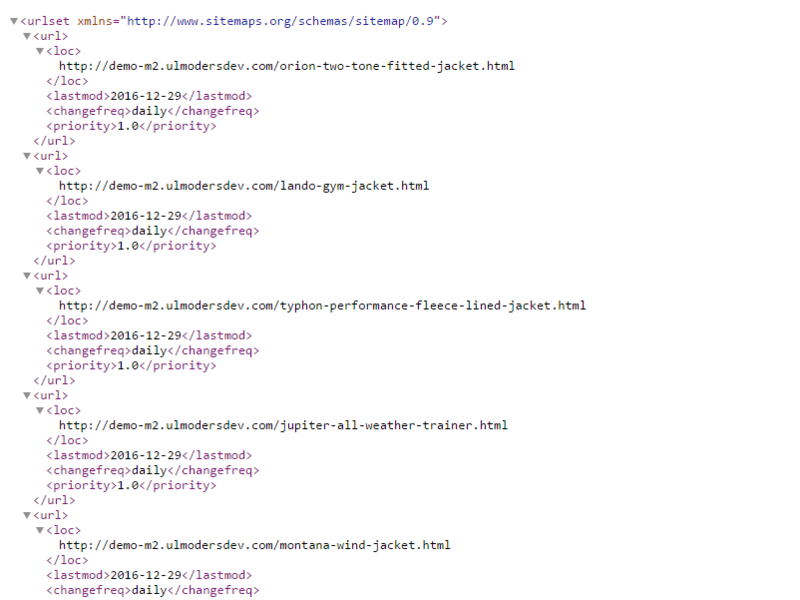 You can generate, ping or delete each sitemap right from the grid. When editing an existing or adding new ones, you will need to define the sitemap filename, path, choose the type (basic, basic with image, mobile) and the store view. After configured and generated the sitemap, all sitemaps (categories, product, CMS pages, review) will appear on a single index sitemap file, including the last modified date per sitemap. Ulmod XML Sitemap Splitter for Magento 2 is a must-have tool designed to overcome the limitations of the default Magento 2 sitemap. 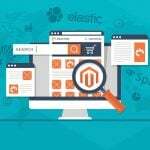 It improves and simplifies the whole process of generating and splitting your website’s XML Sitemap making your Magento 2 website more visible to search engines thus, boosting your chances for higher ranking and, presenting your product to as many shoppers as possible.